We received an email from an acquaintance who simply sent an “FYI” and a link about Baba Vangelia, the prophetess of Bulgaria, who passed in 1996. There has been a surge of internet articles about the predictions, much of it ominous, and plain sensation seeking. 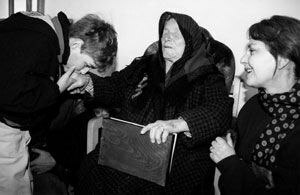 In this article, we take a look at Prophecy, Seers, Clairvoyants and the history of Vangelia Pandeva Dimitrova, known popularly around the world as Baba Vanga. We look to spurious predictions, unsubstantiated predictions and some actual material sourced to Baba Vanga. We then look at how people might use discernment on materials found in the media, be it the newspaper, radio, the evening TV news or the Internet media. The media presents information; it is up to the user to evaluate that information in its context.